THE POCKET HOTEL Kyoto Shijo Karasuma is situated in Kyoto. Attractively set in the Nakagyo Ward district, the property is located 1.1 km from Kyoto International Manga Museum and 2 km from Samurai... The location is so great and we spend less than 20 minutes per time going to the places we went. The procedures of checking in and out are easy and fast. The public places like restrooms and showeroom always keep clean all the time. I will recommend my other friends who want to take a trip in Kyoto next time to come to this hotel. Situated in Kyoto, within 700 metres of Samurai Kembu Kyoto and 1.2 km of Kyoto International Manga Museum, Hotel Resol Kyoto Kawaramachi Sanjo features accommodation with a shared lounge and free... Modern and comfortable hotel in the centre of Kyoto, perfect location for sightseeing, shopping and eating. The hotel itself is great, staff is very friendly and competent. The rooms have a good size, and all amenities. Beautifully designed interior. Great value. Daiwa Royal Hotel Grande Kyoto is located just a 5-minute walk from JR Kyoto Station. The hotel is an 18-minute walk from Tofuku-ji Temple and 2.3 km from Kiyomizu-dera Temple. Bed was comfy, pillows were so soft. Extremely convenient location, friendly staff. Suzakukan is an apartment nestled in Kyoto, a 5-minute bus ride away from Nijo Station. All rooms feature free high-speed WiFi access. The property features Japanese-style designs. Spacious, free laundry, and free tour information. 700 metres from Samurai Kembu Kyoto, Cross Hotel Kyoto is set in Kyoto and provides rooms with free WiFi. Located in the Nakagyo Ward district, the property provides guests with access to a... The hotel is in a great location. It is a very modern hotel and the rooms are very efficient. Open from August 2018, IMU HOTEL KYOTO is situated in Kyoto, 5-minute walk from Shijo-Karasuma Metro Station and Hankyu Karasuma Station. Very clean and pleasant place! Situated in Kyoto, a 15-minute walk from Samurai Kembu Kyoto, My K House has rooms with free WiFi access. Situated conveniently in the Shimogyo Ward district, this hotel provides a bar. The hotel has the perfect location, is elegant and beautiful inside with all comforts you need. Hotel Ethnography - Gion Shinmonzen is situated in Kyoto, 600 metres from Samurai Kembu Kyoto. perfect location in the center of Gion but very quiet in the night. THE POCKET HOTEL Kyoto Shijo Karasuma is situated in Kyoto. Attractively set in the Nakagyo Ward district, the property is located 1.1 km from Kyoto International Manga Museum and 2 km from Samurai... The location is so great and we spend less than 20 minutes per time going to the places we went. FUGASTAY Shijo Omiya is located in Kyoto, 1.2 km from Kyoto International Manga Museum and 1.3 km from Nijo Castle. Clean and environmental friendly. Spacious and good price. Open from September 2018, providing free WiFi throughout the property, the b kyoto shijo offers accommodation in Kyoto, just a 3-minute walk from Omiya Station and Shijo Omiya Station. Lovely new hotel - very nice room, clean and comfortable. Staff was also super friendly. Set within 1.1 km of Kyoto International Manga Museum and 2.3 km of Samurai Kembu Kyoto, The Royal Park Hotel Kyoto Shijo provides rooms with air conditioning and a private bathroom in Kyoto. Very nice and helpful stuff. The breakfast is good.rooms are big enough. Hotel Kuu Kyoto is set in Kyoto, 1.4 km from Sanjusangen-do Temple, and provides free WiFi. Boasting a 24-hour front desk, this property also provides guests with a restaurant. is in the front of a gourgeous Temple. Set 600 metres from Nijo Castle, Yutaka is located in the Nakagyo Ward district of Kyoto. The 3-star hotel has air-conditioned rooms with a private bathroom and free WiFi. Enjoy our stay here. The room is nice and clean. What hotels in Kyoto offer an especially good breakfast? 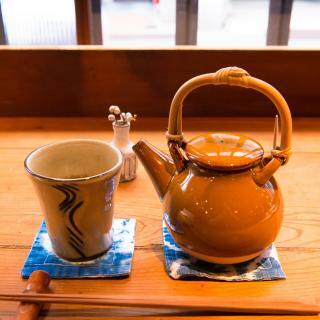 For hotels in Kyoto that serve up a highly-rated breakfast, try Tomoya Residence Hotel Kyoto, Sakura Terrace The Gallery and Nagi Kyoto Arashiyama. On average, it costs £81 per night to book a 3-star hotel in Kyoto for tonight. You'll pay on average around £118 if you choose to stay in a 4-star hotel tonight, while a 5-star hotel in Kyoto will cost around £236 (based on Booking.com prices). On average, 3-star hotels in Kyoto cost £86 per night, and 4-star hotels in Kyoto are £147 per night. 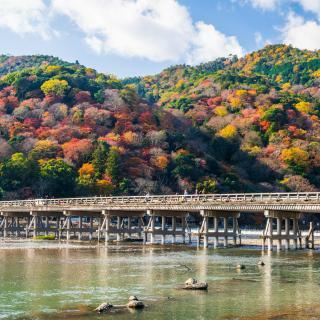 If you're looking for something really special, a 5-star hotel in Kyoto can on average be found for £274 per night (based on Booking.com prices). What hotels in Kyoto are good for couples? These hotels in Kyoto are highly rated by couples: My K House, Kyoto Shinmachi Rokkaku grandereverie and Sakura Suite. What are the best hotels to stay in Kyoto? Kyoto Inn Gion, Suzakukan Suzaku Crossing and Solaria Nishitetsu Hotel Kyoto Premier are some of the popular hotels in Kyoto. What hotels in Kyoto have nice views? The Ritz-Carlton Kyoto, Sakura Suite and Aoi Hotel Kyoto have received great reviews from travellers in Kyoto regarding the views from their hotel rooms. 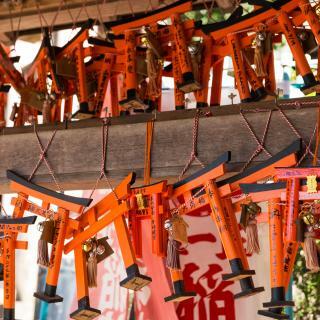 What is the best neighbourhood to stay in Kyoto? 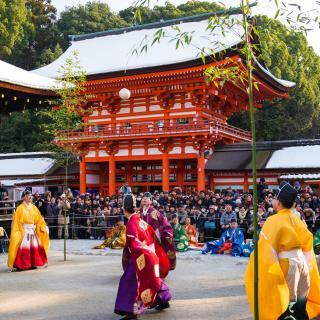 Gion, Arashiyama and Higashiyama Ward are popular with other travellers visiting Kyoto. The average price per night for a 3-star hotel in Kyoto this weekend is £237 or, for a 4-star hotel, £286. Looking for something even fancier? 5-star hotels in Kyoto for this weekend cost on average around £544 per night (based on Booking.com prices). 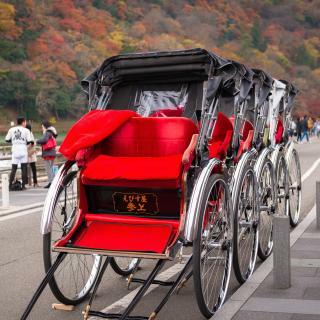 Many families visiting Kyoto loved staying at 22 PIECES, My K House and Nagi Kyoto Arashiyama. Lots of cultural sites. Nice entertainment sites too. Hotels on the expensive side (especially for a Saturday night), still they are usually booked. Subway is not that extensive, the bus routes are and a day pass is only 500 yen. It is worth it. 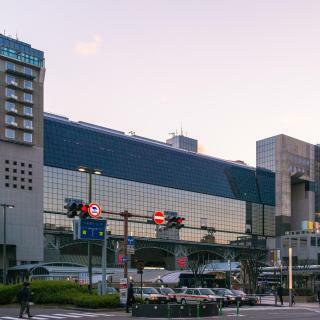 If you have a JR pass, you may want to book a hotel close to the station, it is a very good location. On the other hand, if you do have a JR pass, it may be cheaper if you stay in another close-by town/city and visit Kyoto by train for free. Walk and explore the areas by the river. Nice cafes and restaurants. Love Kyoto, Have visited Japan 10 times and always include time in Kyoto. We found this gem of a place to stay and will most certainly return. We were a group of 8 aged 60-70s in 4 rooms. We were all very happy with the facilities. We booked a goodwill guide to help us get around on one day. The other days we got ourselves around ok. Always include a trip to Nara. 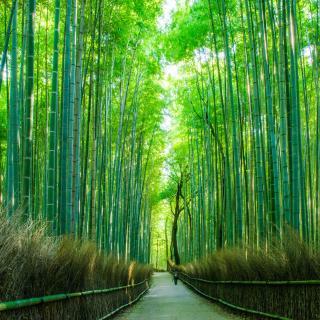 This time we also visited the bamboo forest area and went on the romantic train. Don't miss the golden pavilion it's a must see in Kyoto. There are so many temples, shrines its hard to decide which to incude. Also go up on the rooftop of the JR station. There is a great moving electronic light display beside the escalators. We went up all the levels of escalators to the roof top. Sure to return to do more sight seeing when I have the means. Sure to return to do more sight seeing when I have the means. Easy to find my way, most roads, streets and lanes are laying out on the gridline. I can read and write Kanji. Though I cannot speak Japanese at all, the Kanji ability surely helps. But don't worry. Those who don't read Kanji could survive. You can write the romanized names to show the locals. They are friendly and helpful. Good to have pocket wifi with you, fine if without. Read the maps (a printed map or the Google map on a device) before leaving your country or your hotel room. When you hit the road, carry a map with you and I have a small compass as well. Trust me, it is useful. Just a quick peek and you can tell oh that way, gosh I went the wrong way. Do figure out which tip points to the north, which to the south in advance of course. And make sure you can remember it. Maybe have the clue written on the back. Do pick the right season! I visited Kyoto in August last year. It's awful. I came in early June this time. That made all the difference. Thank you. This is one of our favourite cities in Japan. The cost of accommodation is much higher during the peak season (Golden Week). Also empty lockers at the main train station are hard to find, fortunately the other option is putting the luggage in the storage room. Kyoto is the most exciting and beautiful city of Japan we know, with numerous beautiful temples and shrines and cozy neighbourhoods. 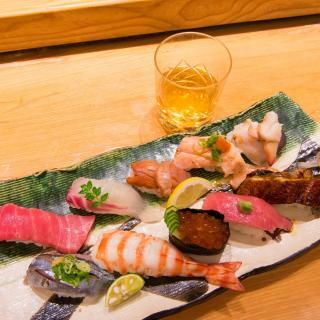 In addition Kyoto is a true paradise for shopping and dining out. The city has a good public transportation system, We will certainly return there! We were there during the cherry blossom season, which helped of course to stun us. However, if you want to go there during high season (beginning of April or in November, when the maple leaves turn red), you need to book far ahead to get a reasonable accommodation! We were told that we were very lucky that the Hibiki guesthouse still had a room for us. The location was perfect for using public transportation to head out for a day of sightseeing. Great restaurants on the property and nearby. Beautiful hotel and friendly staff. Very safe property. Location. The price was excellent.